Thermostats are the brain of your heating and cooling system, while zoning is the muscle. 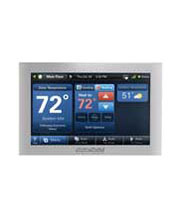 Every system requires a thermostat, and zoning is great option to add on. Premiere Mechanical, Inc. carries a complete line of thermostats and zoning products for optimum comfort and energy savings for your home.